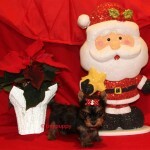 Our X-tra tiny Micro Yorkshire Terrier Christmas Jingle is a mellow little guy. 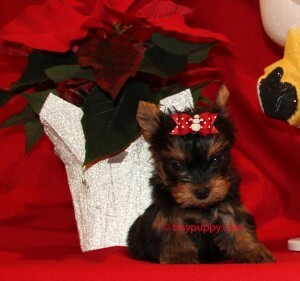 He is just going to be the best little lap dog a person could want. 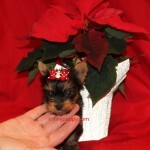 Snuggle up by the fire with roasted chestnuts and cocoa and just let this little guy snuggle on your lap. 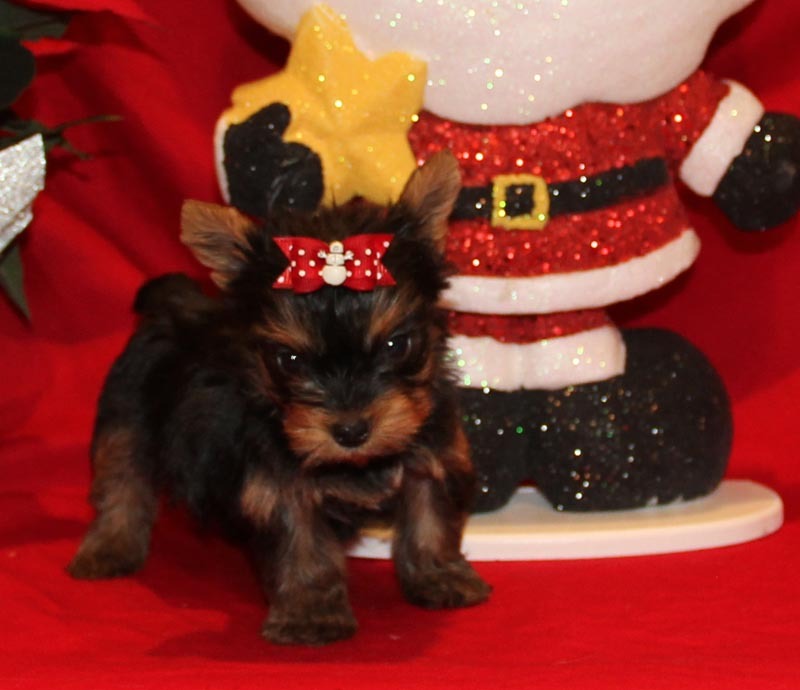 He is only 13 oz at 6 weeks of age and his pedigree has Championship Bloodlines. 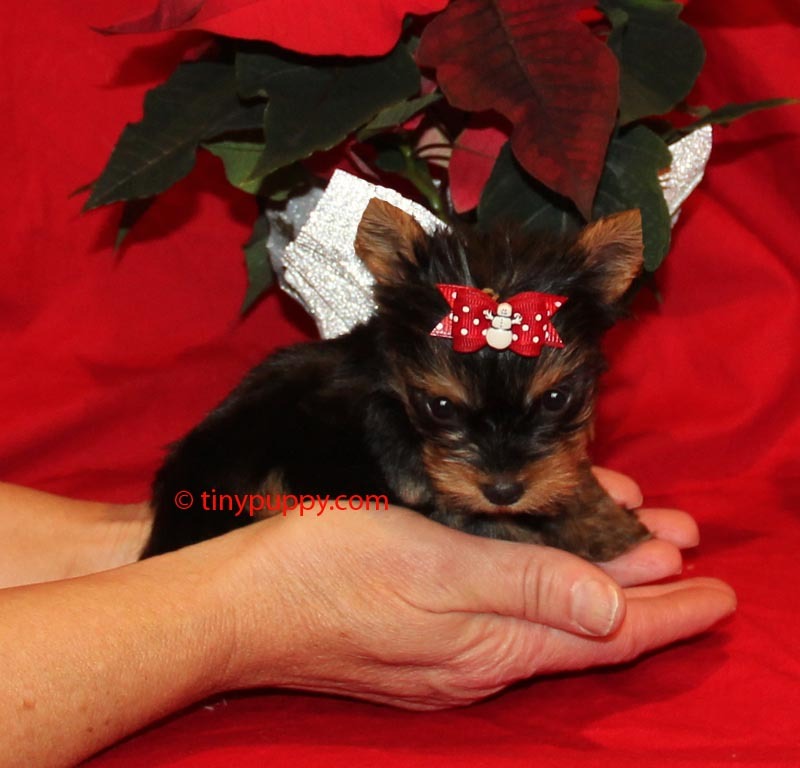 This petite little guy is estimated to be in the 2.5 lb range. 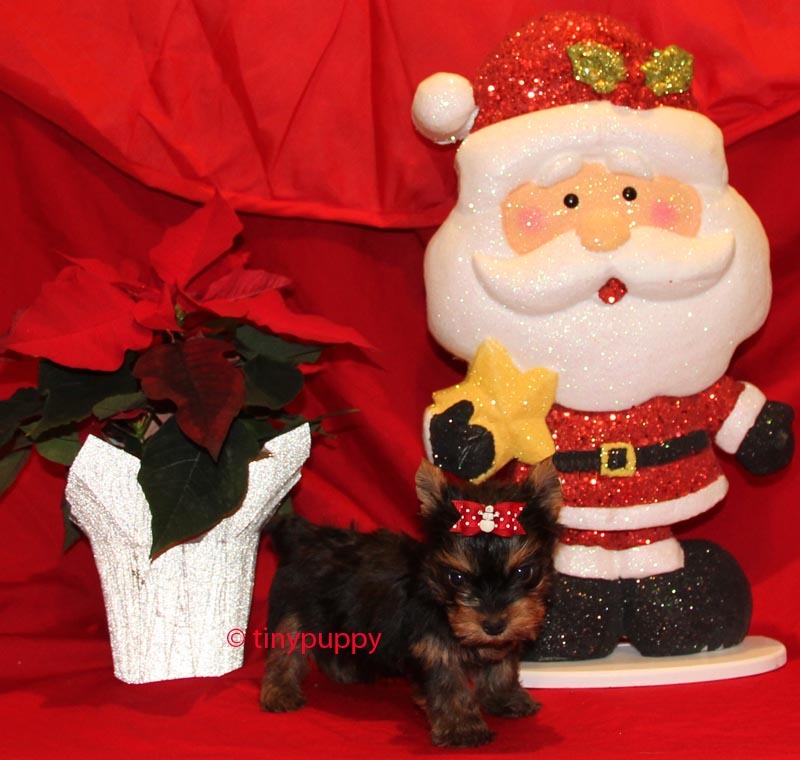 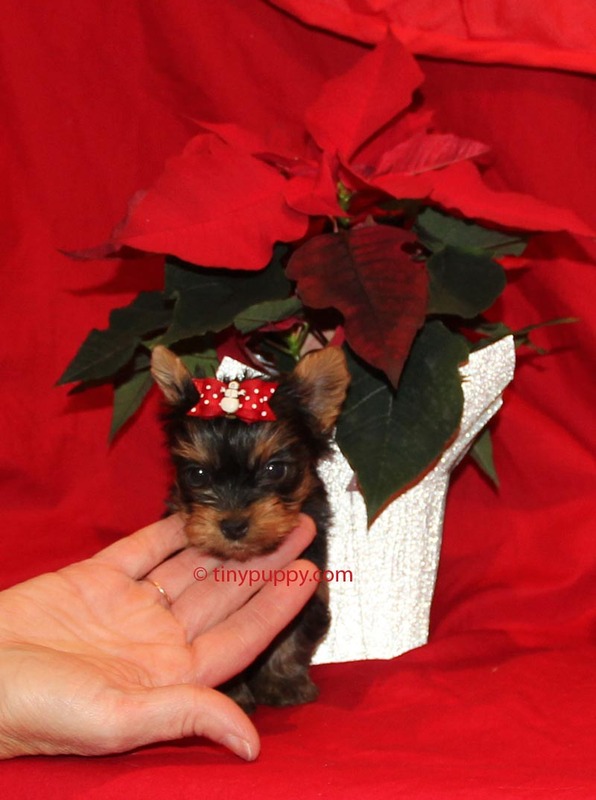 Give your Sweetheart this little Yorkie for Christmas!